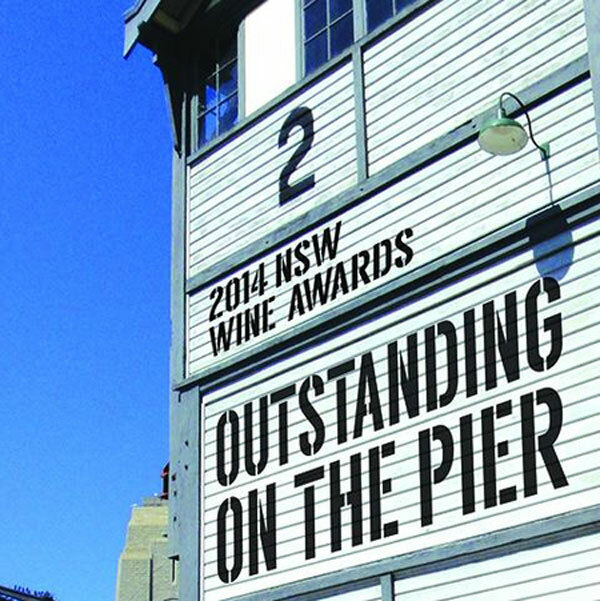 All 148 award-winning wines for the NSW Wine Awards have been named, now it’s time to celebrate at ‘Outstanding on the Pier’ on Thursday 30 October. Lovers of wine will delight in this unique opportunity to taste the State’s #topwines in the second year of the much anticipated large format consumer tasting event in the heart of Sydney. “The NSW Government is proud to support the 2014 NSW Wine Awards, through our tourism and major events agency Destination NSW, in recognition of the importance of food and wine experiences in attracting overnight visitors to the State,” Mr Grant said. Held at Pier 2, Walsh Bay, “Outstanding on the Pier” gives consumers the ultimate tasting experience. Not only can attendees exclusively taste NSW’s 148 #topwines, “Outstanding on the Pier” showcases an excellent selection of NSW seasonal fare from producers including Pepe Saya, Olsson’s, Alto Olives, Brasserie Bread, The Loch, Hunter Valley Cheese Company, Poachers Pantry and Dessertmakers. In addition, attendees can keep their Riedel tasting glass (valued at $20). Consumers can vote for their favourite of the #topwines for a chance to win an outstanding prize! One lucky guest will win a #topwines package including a fabulous selection of this year’s Top NSW wines and a Riedel glassware package – all valued at over $1500! The highly sought after tickets are now $50 and give wine lovers access to several hours tasting the 148 Gold, Silver and trophy winning wines and experiencing some of NSW’s best regional produce.